An Interpol Purple Notice was issued for this vessel 21 January 2014. On the morning of 29 December 2013, SAMUDERA PASIFIC No. 8 and BERKAT MENJALA No. 23 fled port in Cape Town, South Africa, in contravention of an arrest order. 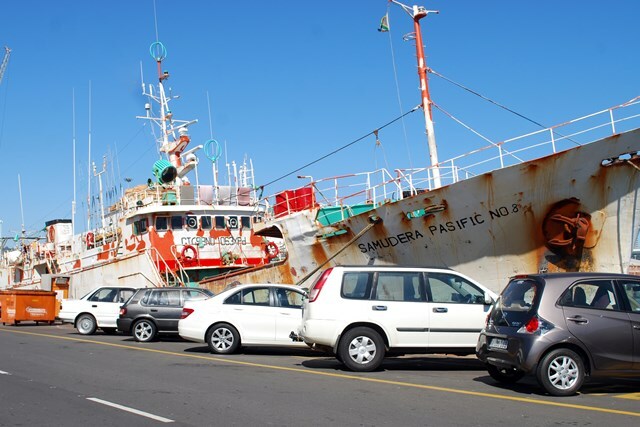 They were part of a fleet of vessels arrested November 2013 on suspicion of multiple fisheries offences, including illegal fishing in the South African EEZ. Investigations revealed that fishers and crew on board had not been paid for several months and were working and living in substandard, unsafe and unhygienic conditions. Officers presented a forged vessel registration certificate purportedly issued by Indonesia. Indonesian authorities have claimed this is fabrication. Current flag is unknown, vessel is possibly fishing under false name, IMO and call sign. 2009-05-19 PANCA CAHAYA TERATAI, PT.